It was an honor Thursday to celebrate a big day for Georgia, an important one for our country, and an enormous one for innovation. Following $100 million in state funding, the CyberCommand center officially opened only a couple days before Governor Deal, a major champion and sponsor of the project, left office. Over 21,000 cyberops jobs are expected to be created in and around Fort Gordon. Over 4,000 families are expected to move outside the Beltway to Augusta to support mission-critical cyber ops for the nation. Valor participated in the first pitch competition held at the center under the sponsorship of Clubhou.se, an Augusta startup accelerator. Valor partner and seasoned tech investor Jeb Stuart spoke eloquently from the main stage about the critical importance of cybersecurity to Georgia and the world. Michael Shaffer, executive vice president of strategic partnerships and economic development for primary partner Augusta University (AU) said in his remarks the center is the largest single investment in a state-owned cybersecurity facility in the nation–another way Georgia is stepping into innovation and looking far down the road to create an environment where innovation has an advantage. Cybersecurity is not just mission critical for the nation and state. Teresa MacCartney speaking from the main stage. The building is named for her and Michael Shaffer. 69% of companies see compliance mandates driving spending. There’s a global shortage of qualified cybersecurity talent, says Valor founding partner Robin Bienfait, who has 30 years of cybersecurity experience in her multiple roles including CIO Blackberry and Chief Innovation Officer at Samsung. “The governor made it easy for us. He told us our No. 1 mission was workforce development, and then all of these other things support that key objective. The shortage across the globe is continuing to increase, so all the states, we’ve all got to do things differently and do things better to create better numbers to meet the need that’s out there,” said Calvin Rhodes, executive director and State of Georgia CIO. 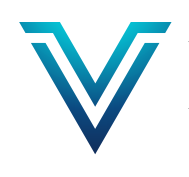 Valor is looking forward to the tens of thousands of cybersecurity experts who will grow here, move here, share their talents here, and create a community of excellence. Many of them are–or will become–entrepreneurs. We look forward to the journey with them and are here to help build on the legacy of cyber innovation in the Southeast and beyond.